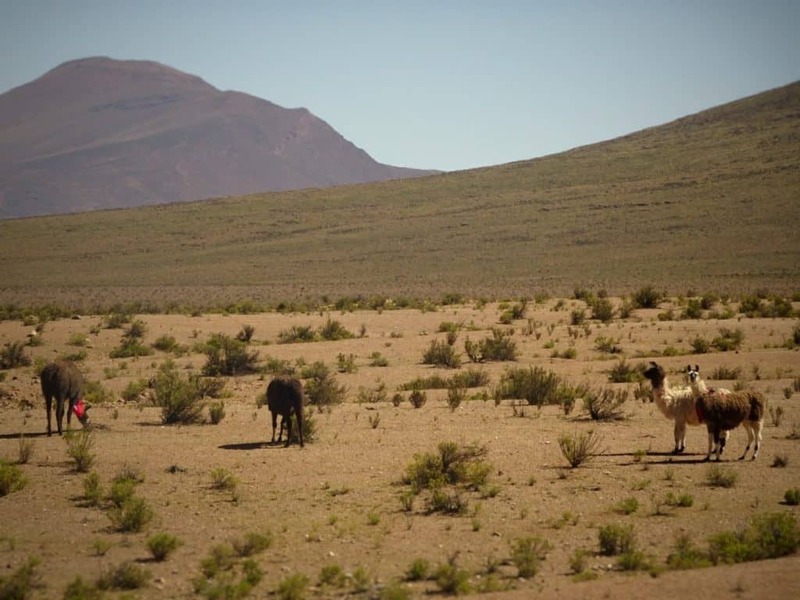 Do you want a top tip for a landscape highlight in Northern Chile that is not yet completely overrun by tourists? Of course you do. 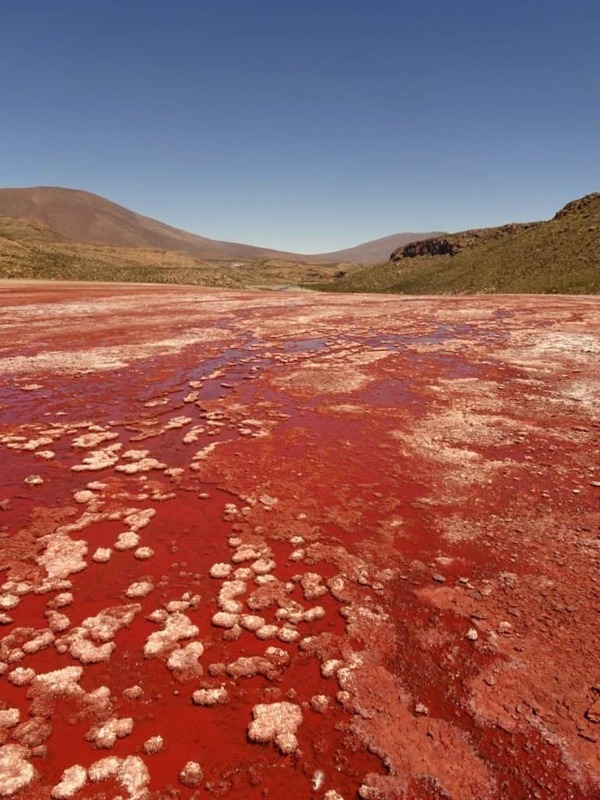 Here we go: The Laguna Roja near Iquique! Well, I say near. It’s actually like a five-hour drive away, and about 4000 metres difference in altitude… but we’ll get to that. 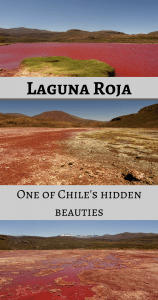 The Laguna Roja is one of the day trip destinations you can visit from the coastal town of Iquique in Northern Chile. 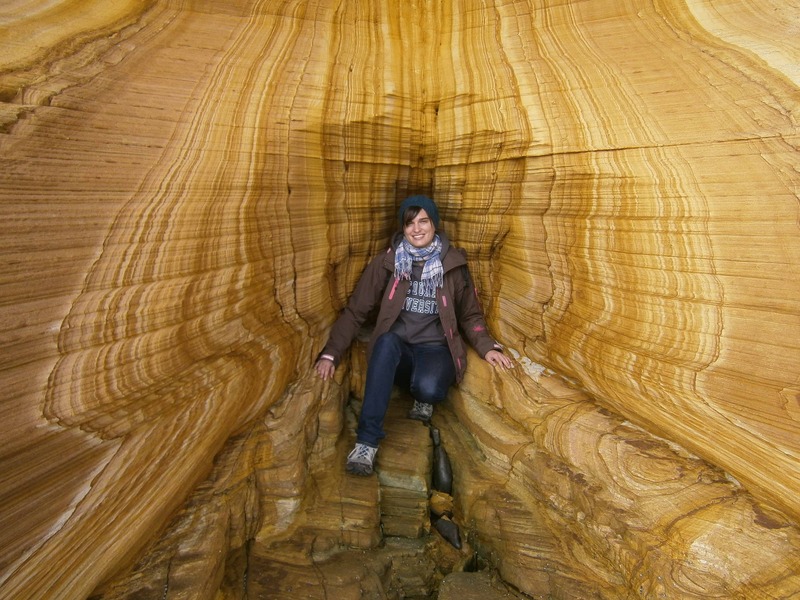 I came across some pictures of it when I researched what to do in the area and immediately knew I had to go there. 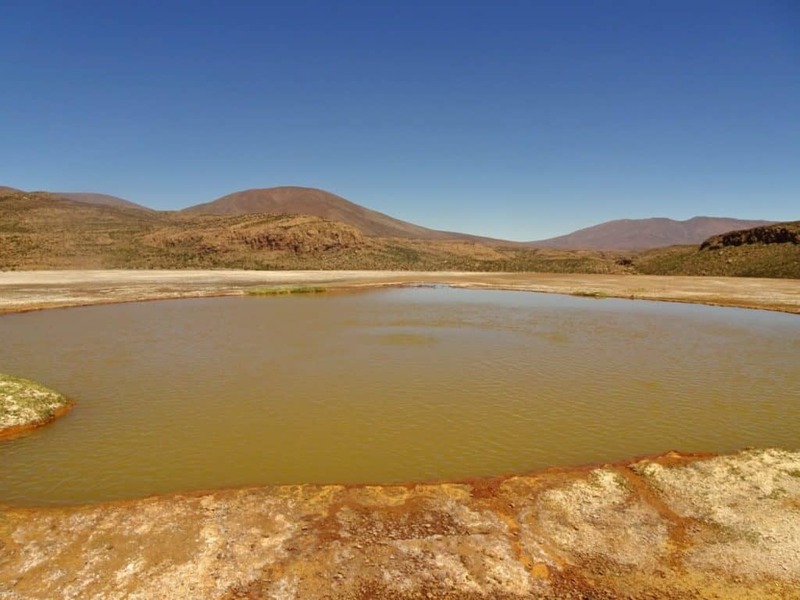 The best way to get to the Laguna Roja is on a day trip. I checked out several offers and eventually settled for Magical Tours. What I didn’t realize when I booked – and the guy behind the desk wisely didn’t tell me until after I had paid – was that the tour would be held only in Spanish. However, it was too now late to change my mind, so I tried to look upon it as a chance to improve my Spanish skills. 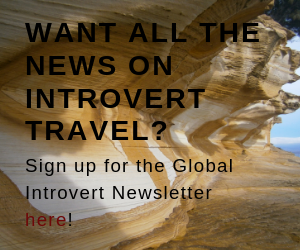 When I met the other passengers on the morning of the tour – pick-up was at 5.30 am – it turned out I needn’t have worried There were only four other travellers: two friends that were originally from Taiwan but now lived in Chile and the USA respectively. And a couple originally from China, now also living in Chile. Most of them spoke both Spanish and English and were more than happy to translate if I missed anything. 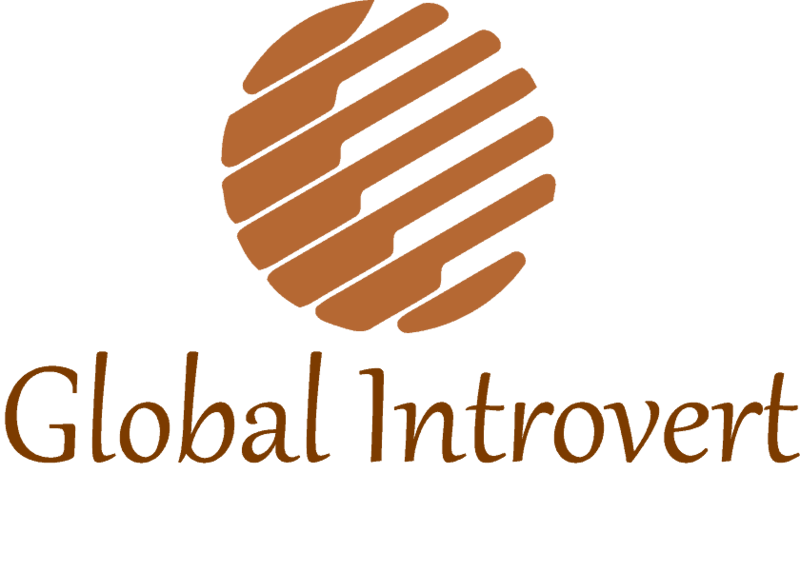 In fact, the whole day turned into a happy mixture of Spanish, English, and Chinese, depending on who was talking to whom. We all got along very well indeed. Leaving Iquique, we drove 2,5 hours into the Andes until we reached the small town of Camiño. There we got breakfast (all included in the tour) and afterward a bit of free time to have a look around town. There’s a cute little church on the main square, but other than that there’s isn’t too much to see, so we left in time to get to the lagoon. After Camiño, it’s another two hours of driving to the Laguna Roja. Soon, the road gives way to a bumpy dirt track. You need to go very slowly in order to make it through the holes and over the bumps. I would say there’s a great view to compensate for it, but you get shaken through so much, it’s hard to fully appreciate it. However, eventually we reached the bottom of the valley and the drive became a bit smoother, at least for a time. Here, we also encountered some llamas on the side of the road. 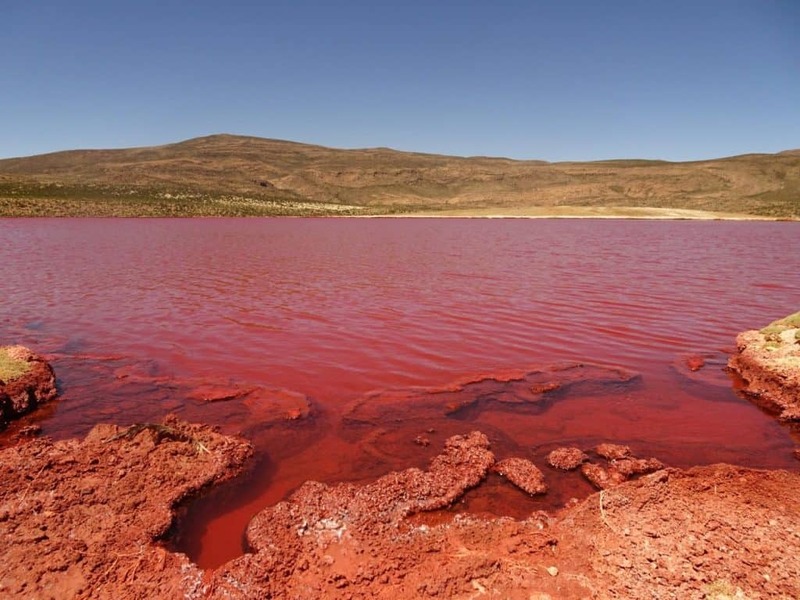 Finally, we reach the Red Lagoon. And oh, it was so worth coming all that way! You approach it from the opposite side of a small stream. Accordingly, the first thing you see is the blood-red river banks. Then you need to cross the river to get to the lagoon itself. There are some rocks in the water you can use as stepping stones if you don’t want to get your feet wet. However, they are quite slippery, so be careful. The alternative is to take your shows off and walk through the water. It’s not very deep, just cold. Still, it was easier than balancing on the stones. However you make it to the other side, once you’re there, you can walk right up to the lagoon and make your way around it to admire this spectacle of nature from all sides. 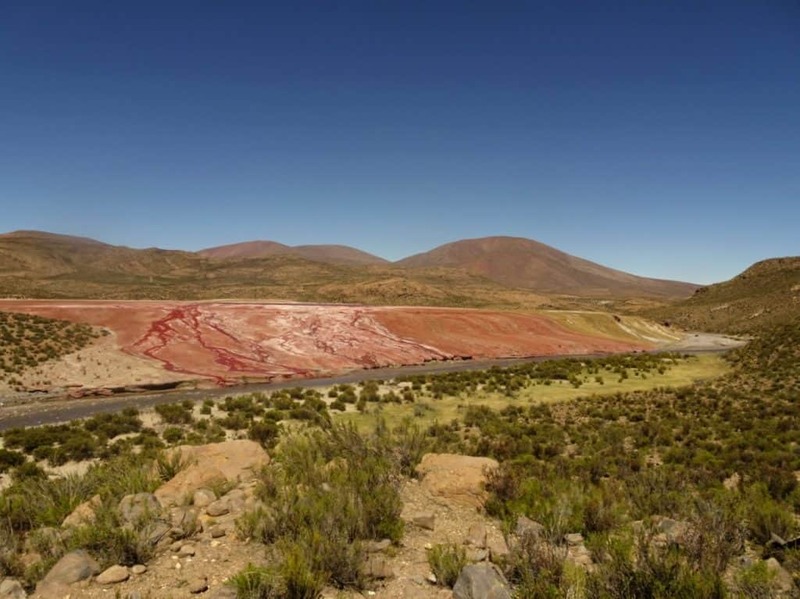 The red water stands out quite dramatically against the green banks and the white minerals on the ground. It’s amazing how the earth around the lagoons just suddenly changes from one colour to the next as if painted. 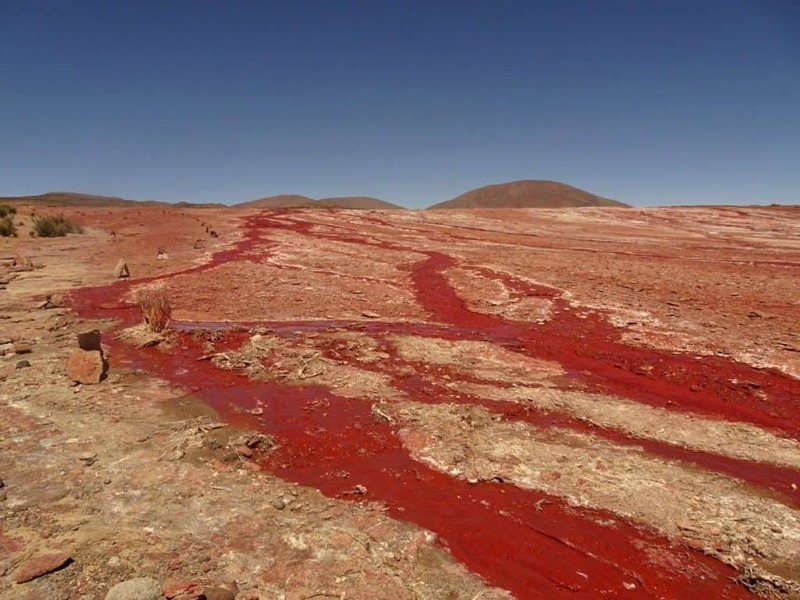 In the belief of the native people, the Laguna Roja represents the heart of Mother Earth. Not hard to imagine. 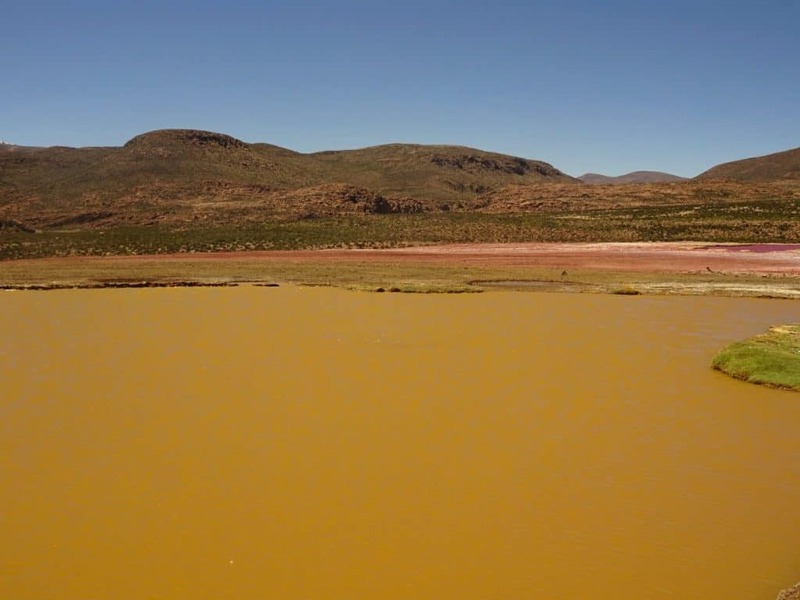 There are two smaller lagoons around it: one is yellow in color, the other green. Well, greenish. But let’s not be so strict. 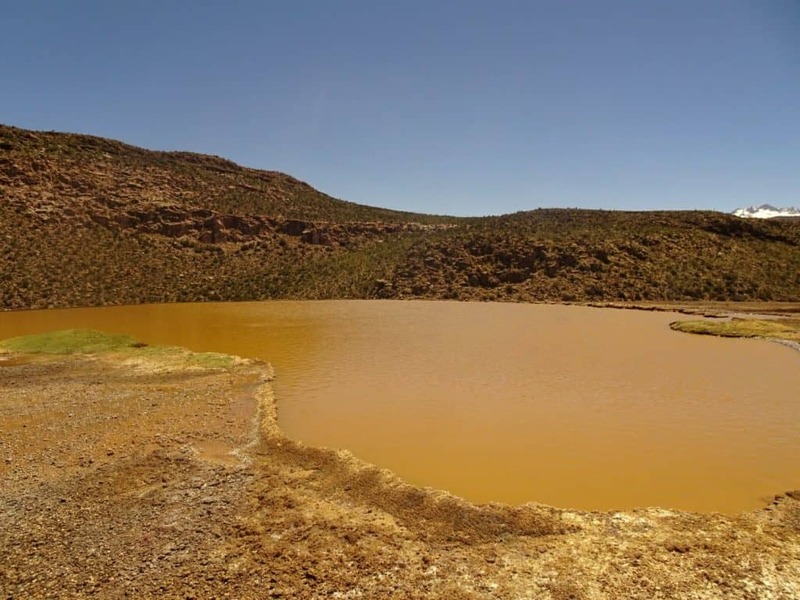 According to legend, the yellow lagoon represents the woman and the green one the man. The latter is placed a bit higher than the other two, so the man can watch over the others. After our guide gave us a tour and explained everything about the lagoons, we got some free time to take them in properly and take photos. Unfortunately, this was when the altitude sickness kicked in for me. I spent most of that time sitting on the shore and trying to overcome the sickness. 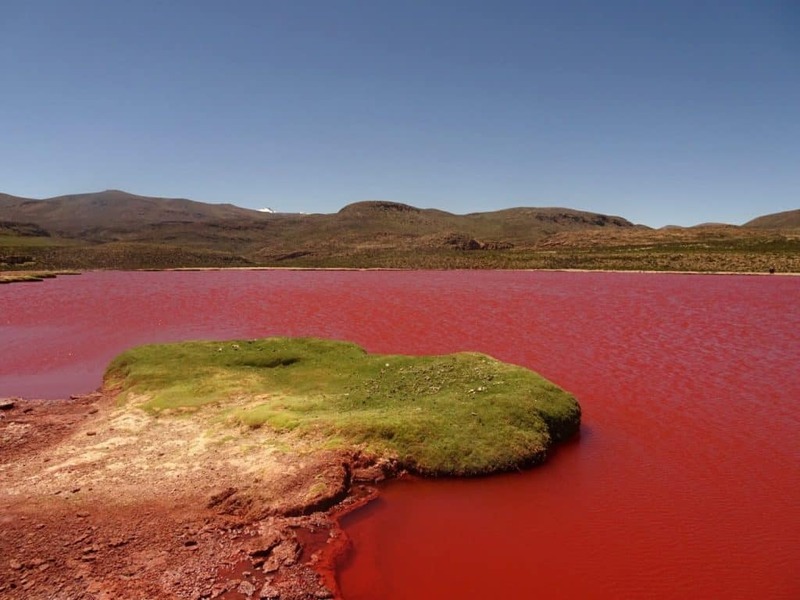 But then, I was sitting right next to the Red Lagoon, so I can’t really complain, can I? Luckily I felt a lot better after some rest, so I could do some more exploring with the others before returning over the stream to our car. I didn’t have any more problems the rest of the day, except for a slight headache. But that may also have been caused by the bumpy and curvy road and all the shaking that came with it. That road may be one of the reasons why there are comparatively few tourists at the lagoon. We were almost the only ones when we arrived. Although it filled up somewhat later, it was still empty compared to many other tourist spots. It’s still somewhat off the radar for many people. Eventually, we headed back to Camiño for a late lunch. At nine in the evening, we finally arrived back at our respective hostels. It was a long day, but despite the sickness and the headache, one of the best I’ve had in Chile! 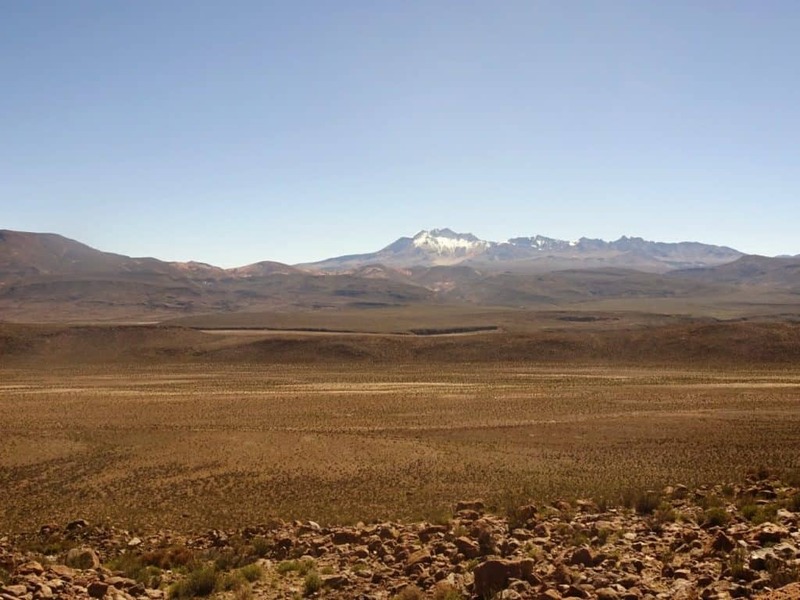 Where: in the Chilean Andes about 5,5 hours from Iquique, at an altitude of 4000 metres. 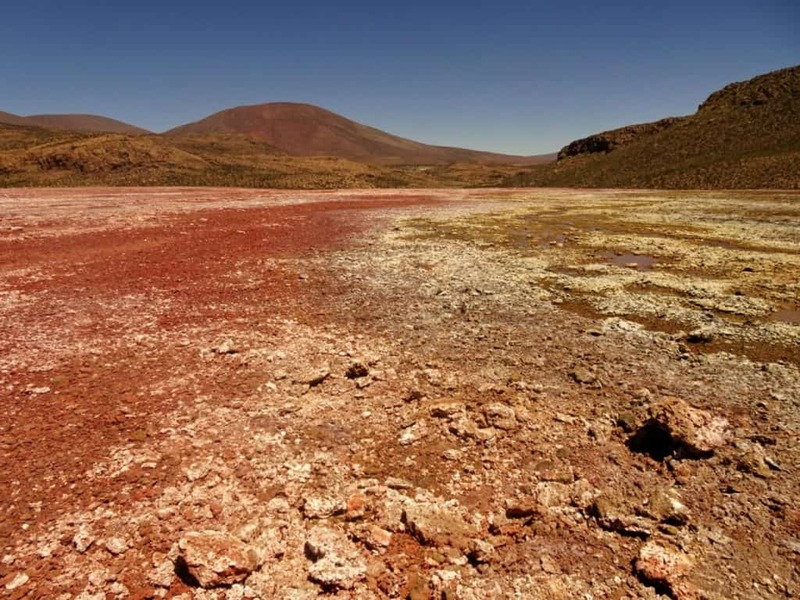 How to get there: Several organisations offer day trips from Iquique. You can also drive there yourself, but be aware that the last two hours of the trip are on a very bumpy dirt road. Unless you’re used to off-road driving, it will be a challenge. 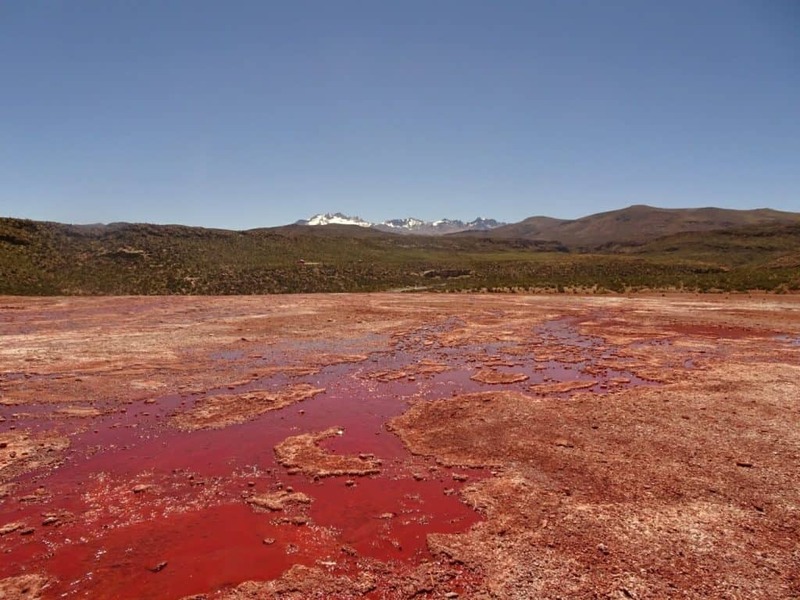 Cost: Entry to the lagoon itself is 3000 Chilean Pesos (ca. 4 € ). A day trip costs about 100 € or a bit more, depending on which company you go with. That price includes breakfast and lunch, but not the entry fee to the Laguna Roja. Altitude sickness: If you’re not used to that kind of altitude, it’s possible you might suffer from some altitude sickness. Especially as you go from sea level in Iquique all the way up to 4000 m. In my case, it passed after resting for a bit, but that may not always be the case. Drink a lot of water, move slowly and don’t exert yourself more than necessary. Tell your guide if you feel unwell, they usually know what to do and may also have some pills or oxygen they can provide you with. 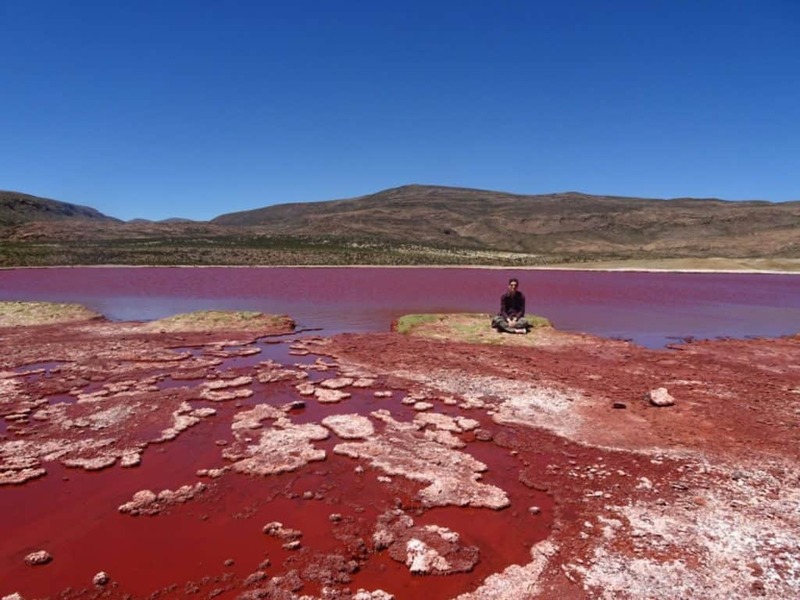 Have you been to Chile’s Red Lagoon? Have I made you want to visit it? Share in the comments.